The Fabulously Fun Fitness & Nutrition Program for Kids! Stretch-n-Grow is a comprehensive fitness and nutrition program for kids.We help educators and parents establish a foundation of exercise and proper nutrition beginning at an early age.Since 1992 we have been bringing Exerciting fitness programs to preschools and daycare centers across the world.We create opportunities for kids to learn to exercise and learn to love it!Over 1 million kids have learned to love fitness through Stretch-n-Grow! The Stretch-n-Grow program teaches children the fundamentals of a healthy lifestyle. With weekly emphasis on exercise and good food choices, our extensive curriculum covers virtually every wellness issue...self-esteem, safety, hygiene, and environmental issues are just a few examples of our discussion topics. 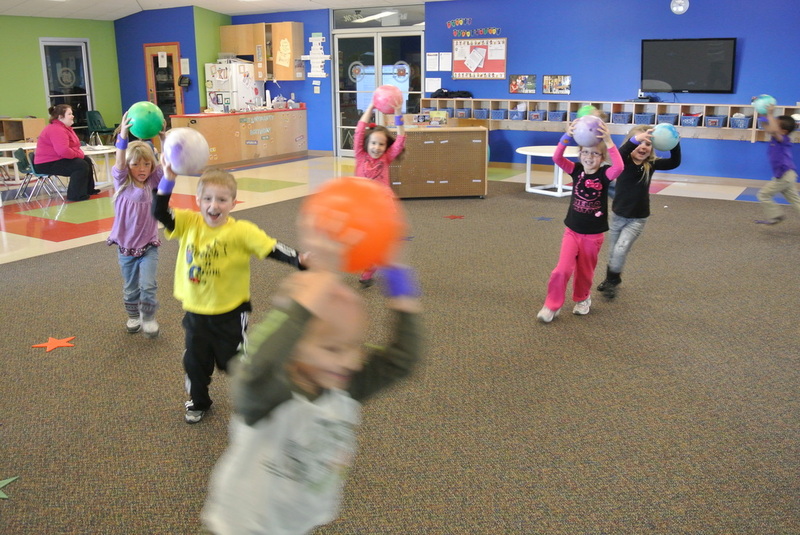 Classes are taught at child care centers and schools by Stretch-n-Grow coaches who make exercising, "EXERciting!!" Social Emotional Benefits: Stretch-n-Grow helps improve sense of self-image and body awareness; and may improve behavior of children diagnosed with ADHD; Children engaging in Stretch-n-Grow are able to explore their physical world and develop peer interactions. 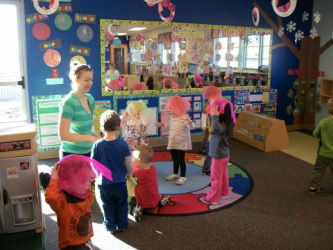 Language Benefits: Children use language during Stretch-n-Grow to communicate with peers on direction and actions; Stretch-n-Grow exercises help strengthen trunk muscles, which en- hance good posture and head control. As these muscles are strengthened, a child’s speech production is enhanced. 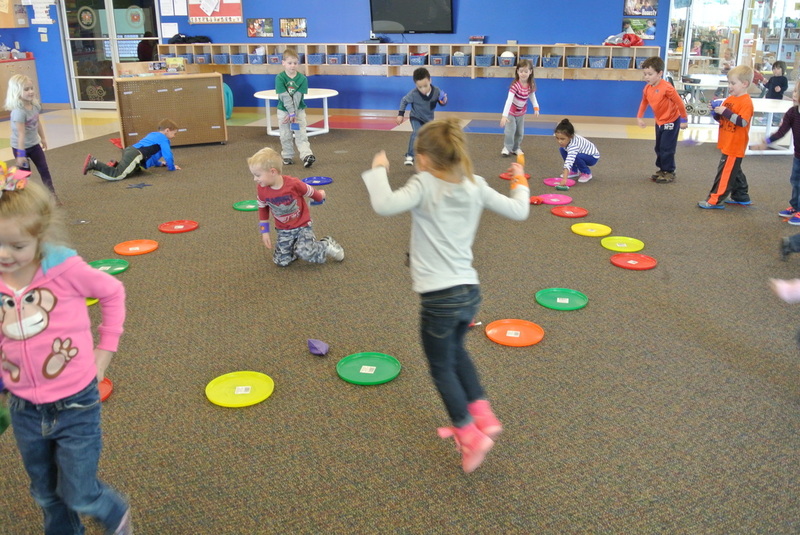 Motor Benefits: Stretch-n-Grow teaches lessons that enhance both fine and gross motor development. The correlation between fine and gross motor skills enable children to have a better understanding of their motor development. Physical activity allows for more practice of using both skills together. With over 260 franchises, there are now over one million Stretch-n-Grow "Stars" across the United States, as well as Canada, Australia, European Union, Ireland, New Zealand, Portugal, Spain, Puerto Rico, Guatemala, Hong Kong, and the United Kingdom, learning to enjoy a healthy lifestyle while building a foundation of fitness and well-being. Stretch-n-Grow offers Exerciting programs for kids from as young as 18 months to over seven years old. Each Stretch-n-Grow coach is a certified youth fitness specialist and has only one passion - to show our Stars an Exerciting time! We believe every child deserves a great start-and that every child deserves a chance to be fit. Because children learn through the use of their imaginations and play, Stretch-n-Grow has combined the two to create classes that meet the needs of our nation's children. Together with music and equipment, classes are energetic and fun. Each week the kids have an Exerciting adventure in the safety and confines of the classroom or gymnasium. All children enjoying good health, feeling great, and never having to experience the negative impact of obesity and a sedentary, inactive lifestyle. To provide Children, Caregivers, Educators and Parents the opportunity to make active lifestyles and nutritious foods easy choices for all families. To teach as many children as possible age-appropriate and relevant messages about staying active and making nutritious food choices. To mobilize schools, families and communities to establish and model healthy patterns and a positive attitude toward health and wellness for young children.To prepare children for participation in physical education and athletic programs through FUNdamental Motor Development.